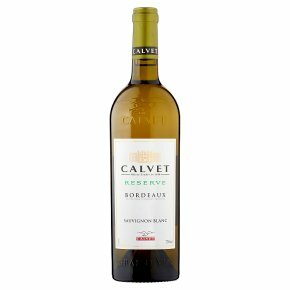 A fruity and elegant Sauvignon Blanc from Bordeaux, exclusive to Waitrose. Well-balanced, crisp, fresh and zesty with flavours of citrussy fruit and apples together with an attractive slightly herbal note. This is a wine that could be enjoyed with salmon or white fish. Wine of France. Fruity and elegant. A beautiful pale yellow dress with green reflections. An elegant and fine nose, with floral and fruity flavours. Well-balanced, with a fresh, mineral and lenghtily fruity final with floral nuances of white peach and bark of tangerine. Ideal with shellfish, smoked salmon and roasted fish.